Locality: United States, Colorado, Huerfano, Wet Mountains, Wet Mountain Valley, Sangre de Cristo Range, and Vicinity. Culebra Range, Chaparral Trail. 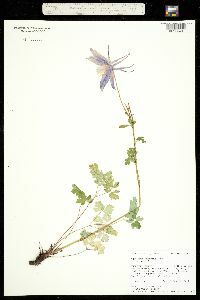 Habitat: Coniferous forest and meadows. Elev. 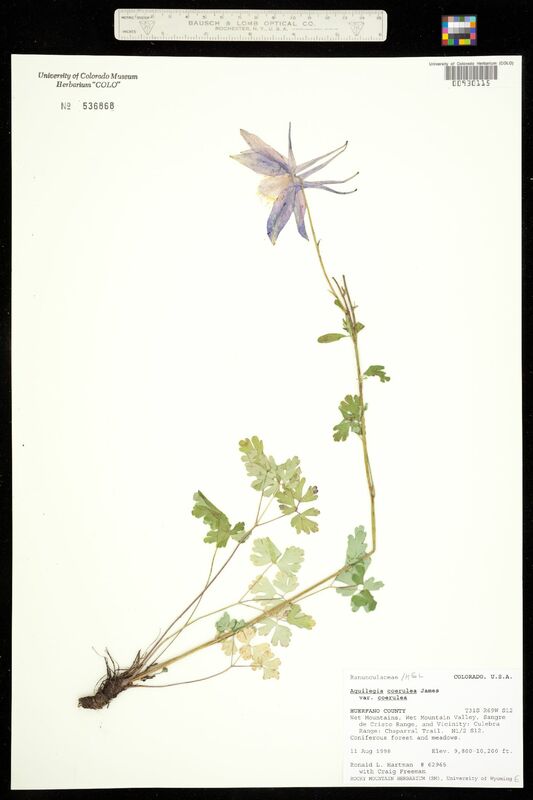 9800-10200 ft.
Notes: Original ID: Aquilegia coerulea James var. coerulea.